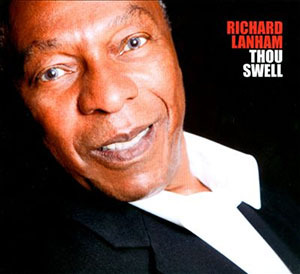 The incredible singer Richard Lanham brings us Thou Swell, his first jazz album as a band leader. Fifteen years have gone by since it was originally recorded, and finally this work is on the market. Richard Lanham is one of those voices you will not forget once you hear it. With these 12 themes he shows his enchantment, feeling, and grace for singing interpretation. He is totally able to play with the swinging and jazzy beat keeping up the romantic pitch and tone of his voice. This wonderful album starts with the catchy classic “Thou Swell”, which accentuates Mr. Lanham’s voice and the trumpet lines. “Breaking Up Is Hard to Do” and “Stardust” are a tribute to soft and passionate jazz where Richard Lanham spreads his lovely and powerful voice with long and subtle notes and harmonic changes. Richard Lanham himself is the result of an exciting musical life and career. When he was 12 he was already singing with his brother in a group called The Tempo Tones. 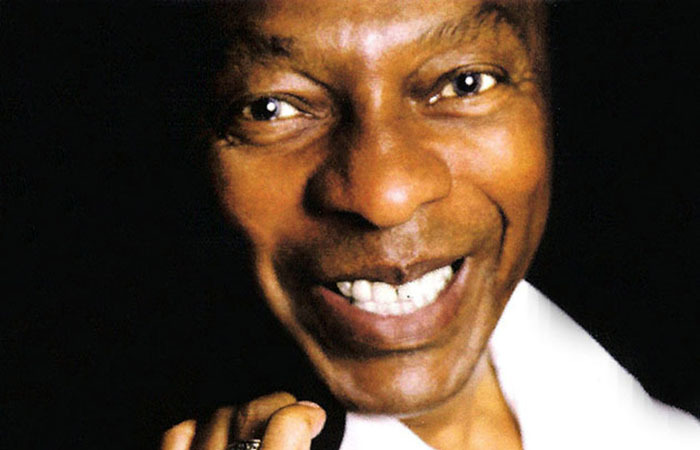 Later, he had the opportunity to sing with the rhythm section that played with the jazz icon Miles Davis. He toured with the Ink Spots and The Boateneers. Years passed and Mr. Lanham played gigs with other bands like The Drifters and Speedo and The Cadillacs. Show by show Richard Lanham grew up in terms of music and his singing style was appreciated by recognized musicians in many countries. This album is a road that Mr. Lanham runs over to show the fascinating stations he has had in his musical career. Thou Swell is an invitation to journey around the musical memories that he and the listener have in common, jazz music. Each song is a colorful station where both, Richard Lanham and jazz lovers can feel the sensation of traveling in time accompanied by an exceptional jazz band including Jerry Weldon (tenor sax), Joe Magnarelli (trumpet), Dan Block (flute), Daniel Sadownick (congas), Bim Strasberg (bass), Joe Strasser (drums), and Keith Saunders (piano). “Unforgettable” is the tenth song on this album, but it is also the adjective for Richard Lanham’s voice. I hope we do not have to wait such a long time to hear from this genius and original singer again. No doubt he is one the great jazz voices of our time. Tracks: 1.Thou Swell, 2. Breaking Up Is Hard to Do, 3. Hallelujah, I Love Her So, 4. Stardust, 5. Calypso Medley, 6. I’m Beginning to See the Light, 7. Amour, 8. All of You, 9. Walking My Baby Back Home, 10. Unforgettable, 11. It’s a Pity, 12. I Wish You Love. Personnel: Richard Lanham: voice; Jerry Weldon: tenor sax and arranger; Joe Magnarelli: trumpet; Dan Block: flute; Daniel Sadownick: congas and percussion; Bim Strasberg: bass; Joe Strasser: drums; Keith Saunders: piano.